Ali started dancing when he was in high school by watching Britney Spears' music videos. He fell in love with dancing and started making his own teams to join different competitions. From 2006, Ali took dance seriously aside from his professional life in Marketing field. He participated in numerous competitions and won many of them such as: M Sport Hip Hop Dancercise, Honday Click Popping Academy, Hub 5 Dancing Contest, Neyo's Dance Competition and Seacon Street Challenge which is the biggest national Hip Hop dance competition. Ali has participated in many stage performances, TV shows and concerts. 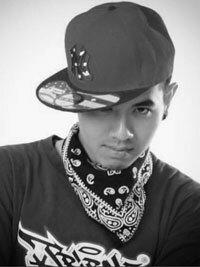 He was featured in numerous music videos such as Beat It (Jennifer, Belly and Ya Ya Ying), Free To Play (K-Otic), Mai Rak Mai Wai (Shane) and Face To Face (Film Ratthaphom). He has been selected to be part of international music videos from France and India. Ali specializes in Hip Hop, Street Dance, Popping, Locking and R&B.